Kena Betancur / Getty ImagesThe holiday shopping season is starting early. “Christmas creep” is descending upon America, with stores like Kohl’s,Macy’s, and Costco setting up holiday decorations in early October. The rise of Christmas creep reveals companies’ tendencies to try and one-up each other – a behaviour that has helped kill Black Friday as we know it. In many ways, Christmas creep was the first sign of the breakdown of a strict holiday shopping season as Black Friday has become less important. It is still early October, but if you’ve visited a shopping center recently, it is clear retailers are convinced it is time to start celebrating the holidays. Christmas trees are starting to pop up. Ornaments are for sales. A couple of strands of tinsel may even be hanging from the ceilings. A quick perusal of social media reveals that, even as the weather remains hotter than ever, stores are dedicated to kicking off the holiday shopping season in early October. Department stores like Belk, Macy’s, and Kohl’s have already decked the halls, with many locations pulling out holiday decorations around October 1. Holiday decorations started popping up in warehouse clubs like Sam’s Club and Costco in late September. Walmart and Target are also selling some holiday supplies, though Target seems to be showing some restraint. In 2017, Target announced it would avoid holiday displays and signs near the entrances of stores until after Thanksgiving. “Christmas creep” isn’t a new phenomenon. People have been complaining about the holiday shopping season kicking off earlier and earlier since the 1980s. 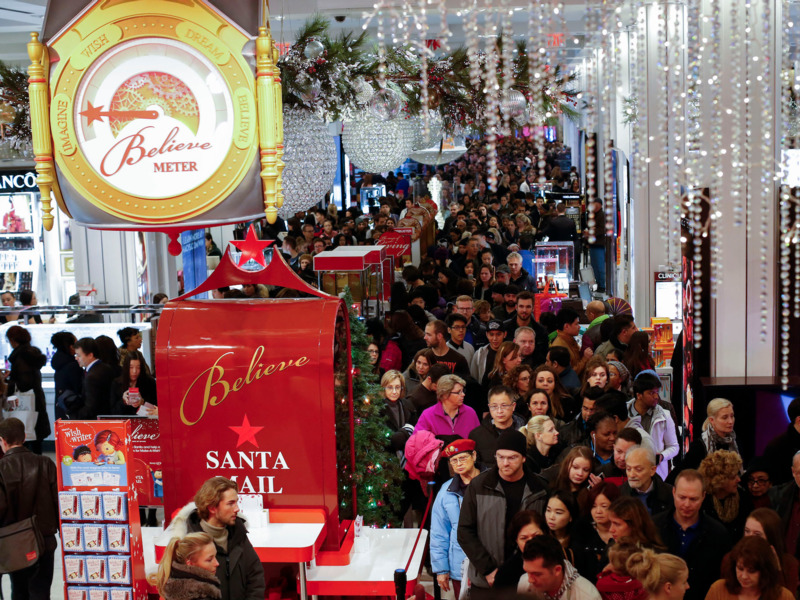 The actual benefits of moving the holiday shopping season earlier remains unclear. In many ways, Christmas creep was a taste of things to come in the retail industry, as competitors’ attempts to undercut each other has led to the downfall of one of their most powerful weapons: Black Friday. The number of people visiting stores on Black Friday declined 4.5% in 2017, according to RetailNext. Today, Black Friday is forced to share the thunder (and sales) with Thanksgiving Day, Cyber Monday, and the two weekend days in between. According to Marshal Cohen, the head retail analyst at NPD Group, Black Friday has transformed into Black November, with sales continuing through the month. Plus, the importance of Black Friday is diminished due to the plethora of deals all year round. Retailers have found themselves forced to dilute Black Friday by opening stores earlier on Thanksgiving Day, kicking off more aggressive online sales, and offering deals year-round in an effort to stay competitive. In many ways, Christmas creep was just the first sign of the breakdown of a strict holiday shopping season, lasting from the day after Thanksgiving until Christmas Eve. “The whole idea of Black Friday and Cyber Monday … is becoming less relevant as the consumer is generally accustomed to great deals,” Josh Elman, senior specialist at Nasdaq Advisory Services, told Business Insider last year. “It’s a little sad. But it’s just a sign of the times. For other companies, the only way to avoid the mixed bag of Christmas creep and Black November is to opt out altogether. REI is one of dozens of companies that have pledged to close stores and cut online shopping on Black Friday, encouraging people to spend time outside and with their loved ones. “You don’t win in the long-term by pushing … what I call rampant consumerism,” CEO Jerry Stritzke told Business Insider.